TT Electronics has introduced the HA74 series of surface-mount power inductors, which couple a low profile, small footprint, and 3MHz switching ability for efficient, space-saving DC-DC converters. With AEC-Q200 certification and specified for operation from -55C to +155C, the series is ideal for automotive use cases which include the current generation of high-density converters and pi filters for ADAS controllers. 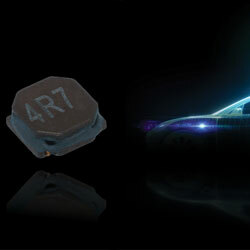 The shielded inductors ensure low EMI and are extremely resistant to corrosion. The maximum height of just 2.05mm enables designers to produce ultra-slimline modules for applications where height is a crucial parameter. Leveraging the compact 5.5mm x 5.5mm footprint, with current ratings up to 2.9A and DC resistance down to 74mOhm, the series allows high power density and energy efficiency. With 3MHz switching ability, enabling use in high-frequency converter designs, these compact inductors are the perfect companion to the small high-frequency filter capacitors and help reduce module size and weight. The company’s advanced low-loss metal-alloy core composition assures high efficiency and low heating at elevated frequencies.